This entry was posted in Uncategorized on March 28, 2011 by dahlia. Sadly it’s not looking very spring-like with a fresh deep pile of snow outside. I made this little beauty for the toddler’s easter basket. She made a beeline for the elephant fabric when I took her to the store with me yesterday. From the black apple doll pattern. This entry was posted in Uncategorized on March 23, 2011 by dahlia. I might regret the black in the red square, but we’ll see. I can position it close to the black squares. This entry was posted in Uncategorized on March 22, 2011 by dahlia. I am in love with my new toy, an eCraft cutter from Craftwell. Other than having to replace the blade it shipped with, to get good cuts, my experience with it has been overwhelmingly positive. This was my first attempt at cutting fabric. 100% cotton quilting fabric, starched with homemade starch (3/4 tsp cornstarch to 1 cup water). I applied Lite Steam a Seam 2 to the back, removed the paper, and pressed it on a piece of cardstock as a carrier. I used a pressure setting of 8, with no tabs. The tree was the smallest size the tree could be cut. One of the branches broke when I removed it – it was not a failure of cutting though, but that the fabric was not stable that thin, and I was impatient. 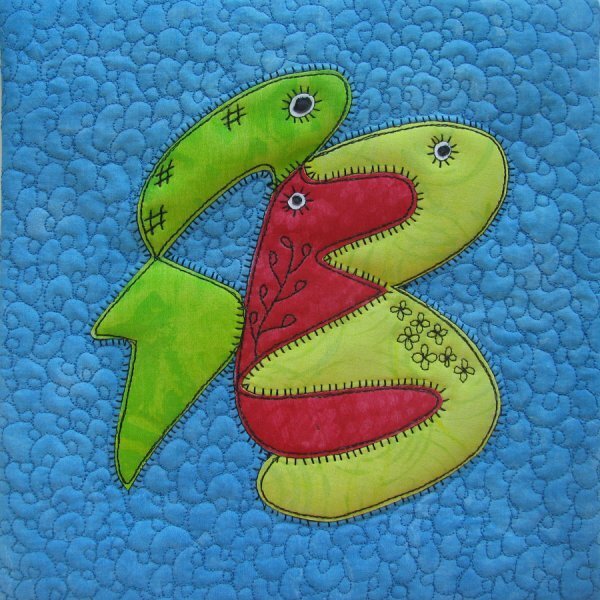 I am so excited about the opportunities for designing and cutting appliques with it. This entry was posted in Uncategorized on March 20, 2011 by dahlia. Ready to go to their new homes. Here are the first squares for my scrappy paintbox quilt. This entry was posted in Uncategorized on March 13, 2011 by dahlia.